Ok. I just have to brag on my family a little bit here. As you know, my son Matthew was the first RootsTech youth speaker, and as far as I know, still the youngest speaker that has ever presented at RootsTech. That was truly the highlight of my career and a big payday for this mom. Well now we're breaking new ground at RootsTech again. February 2017 I'll be giving one presentation with my father, and two more with my sister. (as well as two by myself.) We're truly making RootsTech a family affair. As it should be. I'm pretty sure I hold the record as the person who has spoken with the most family members at the conference. It has been delightful to spend more time with my sister Amy and her two little sons and to spend time with my Dad while we've been putting these presentations together. And they are going to be great presentations. I'm super excited to share them with you. You can see more details about each presentation on the RootsTech Website. I'm also giving a few demos in the demo hall. I'll be speaking about our Zap The Grandma Gap Books at the Family Tree Maker booth. And I'll be speaking for genealogyDOTcoach in the main demo theater at 11:20 on Saturday. The genealogyDOT coach booth is holding free demo lectures (we're calling them "Pep Talks"!) throughout every day of RootsTech. Even though I'm a coach, I won't be giving any Pep Talks in the genealogyDOTcoach booth this time. There were so many great speakers there that I knew they were covered. Check out the pep talk schedule here...So many important and knowledgeable speakers. 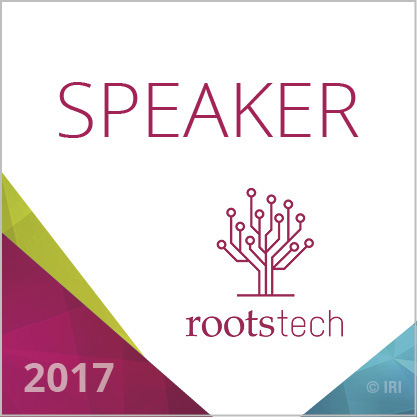 So, really, you're covered for RootsTech 2017. You don't even need to look at the rest of the schedule. We have lots of great ideas for you and lots of help for your family history. Looking forward to seeing you there!